"You'll want more!" That is what people are saying about Charleston's own powerful rock quartet, "Soul Fish". 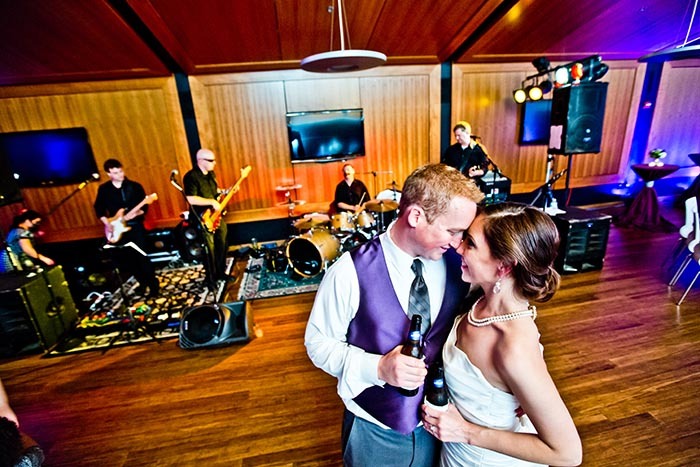 This four-piece rock band not only keeps you dancing and singing all night long, but consistently strives to create that perfect moment that you want for your special day. "Soul Fish" is a well-seasoned wedding and event party band who is well known for their "all-request" shows, extremely extensive song list, and wide range of song genres that has earned them the reputation of rarely being "stumped." The band's professional work ethic has also made them very well known for never taking breaks, and keeping their audience glued to the dance floor. "Soul Fish" is the perfect addition to your event, and are now available for wedding receptions, wedding ceremonies, corporate events, birthday parties, reunions, anniversaries, oyster roasts, festivals, or any occasion. 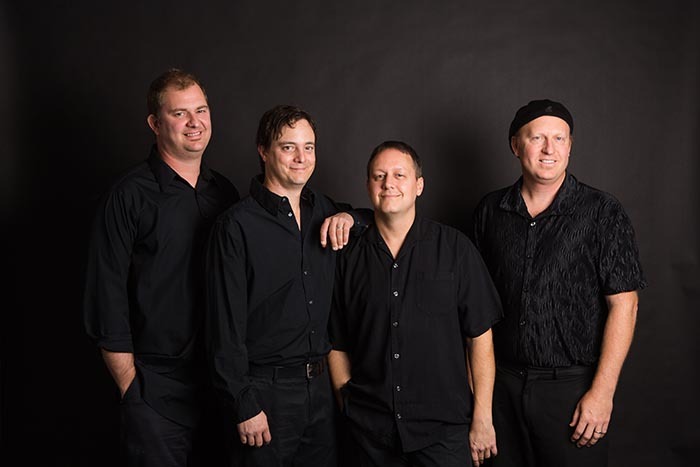 History: "Soul Fish", based out of Charleston, South Carolina, has been together now for ten years with its original lineup, performing a variety of venues and private functions all along the east coast and is rapidly becoming the most popular variety band around. "Soul Fish" has also performed many special events including: "Happy New Year To Charleston at Marion Square- Charleston, South Carolina", "The eighth annual Mom's Run- Ruth Rhoden Craven Foundation for Postpartum Depression Awareness," "The Riverfront Park Grand Opening Celebration for the City of North Charleston Cultural Arts Department", "Welcome Home for the 16th Airlift Squadron of the U.S. Air Force", "Party at the Pointe for Charleston Harbor Hilton," "The Blessing of the Fleet", "The Arthur Ravenel Bridge Run", "Q104.5 10th Anniversary Celebration", North Carolina Health Care Facilities Association Annual Convention and Expo , and many more. 2012-2014 highlights included: PGA Tour at Kiawah Island 's Beach Club, 4th of July Celebration at Kiawah Island's Cassique, "Folly Gras" at Folly Beach, South Carolina, Oysters On The Pointe at Patriots Point, and The Medical University of South Carolina Neonatal Intensive Care Unit Holiday Party. Music: Set list, bio, demo CD's and DVD's are available upon request. Additional musicians: Additional musicians are available upon request. These are songs we’ve performed in high energy dance clubs and bars along with some fan favorites over the years. This song list is a guaranteed good time. Family Tradition- Hank Williams Jr. These are songs we’ve performed at receptions for couple dances requested for: Bride & Groom, Father & Daughter, Mother & Groom, The Finale, and more. 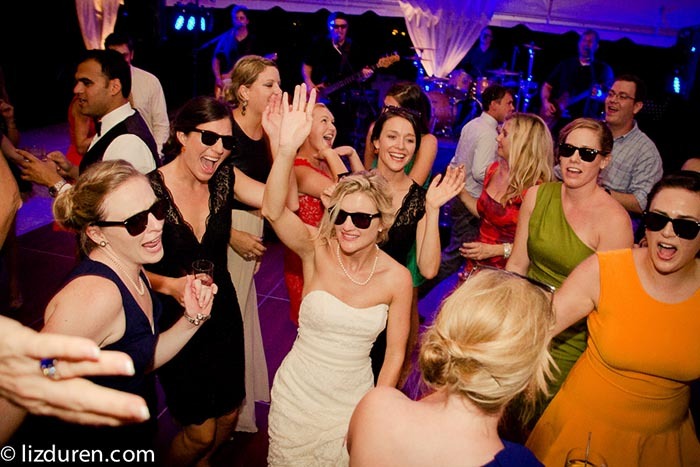 The “Anniversary Dance” is a traditional wedding dance in which we invite all the married couples to the dance floor by announcing the number of years they have been together. Our personal record for the “Anniversary Dance” has been 75 years. WOW!! The “Money Dance” is a traditional wedding dance in which the guests each take turns dancing with the bride & groom while putting money in a tip jar for the married couple. These are just a few traditional songs we’ve performed at wedding ceremonies. Many of our “guests of honor” have chosen to go with modern music for ceremonies as well. It’s The End Of The World As We Know It (And I Feel Fine)- R.E.M. Man On The Moon- R.E.M. The One I Love- R.E.M.